The warm, inviting weather of the Gold Coast is perfect for outdoor living and a great outdoor furniture setting can give your outdoor living area a unique designer edge. Finding outdoor furniture that is perfectly tailored to your needs can pose a challenge, however, with many of the widely available options lacking in quality and design. Cheap, imported furniture will often fail to withstand the Gold Coast’s climate and very few offer striking and elegant designs. Fortunately, there is a clear solution and that is wrought iron outdoor furniture. Wrought iron is a great material for outdoor applications, as it is durable and strong. 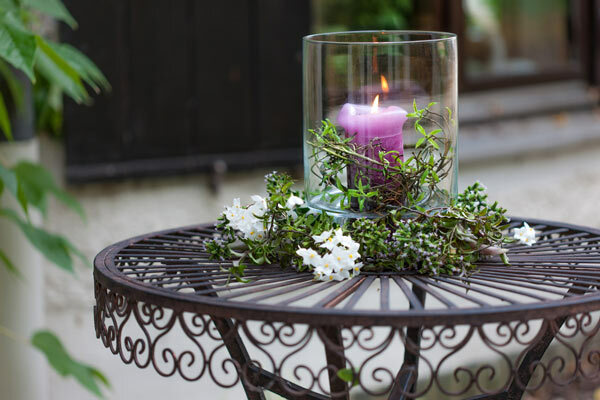 The durability of wrought iron allows it to endure the weather all year round without rusting or corroding and its strength allows it to support a great deal of weight, which is perfect if you want to experiment with heavy tabletops made from marble, granite, glass or timber. In addition to this, wrought iron is very ductile and can be bent, twisted and shaped into incredibly intricate designs. Here at Dean Wilson Iron, we are familiar with the many benefits of wrought iron and our team of expert blacksmiths have a wealth of expertise when it comes to crafting striking and elegant designs. We believe that everyone’s needs are unique and you should not have to settle for generic or unsuitable designs. To make sure that you get the perfectly tailored design that you deserve, we offer an extensive range of services that are centred on meeting your needs. We work with each of our clients to develop customised and personalised wrought iron furniture and we will take into account everything from the design features of your home, to your own personal preferences and ensure that the finished product exceeds your expectations. 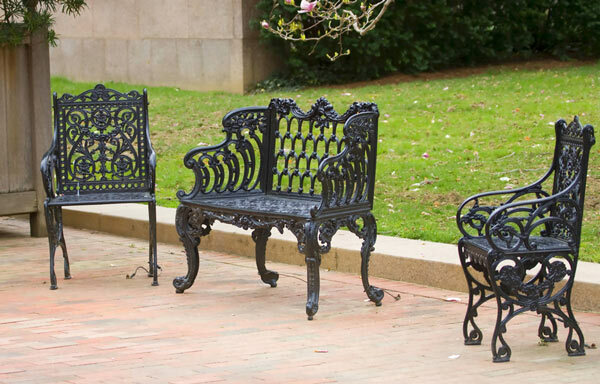 Commemorate your furniture in timeless wrought iron with outdoor furniture available in a number of styles, all custom made by the experts in iron at Dean Wilson. Here at Dean Wilson Iron, we strive to create customised wrought iron furniture that combines practicality and design for the upmost in visual appeal and functionality. Outdoor furniture can be a useful design tool, with the capacity to give your outdoor living space a designer facelift. We believe that you deserve the best in outdoor living and our personalised wrought iron furniture is aimed at reflecting your style to create a truly unique and inviting ambience. With handcrafted furniture from Dean Wilson Iron, you can transform your recreational area to suit you – our customised designs can be built to complement your home and your personal style, so you will not have to settle for anything short of perfect. 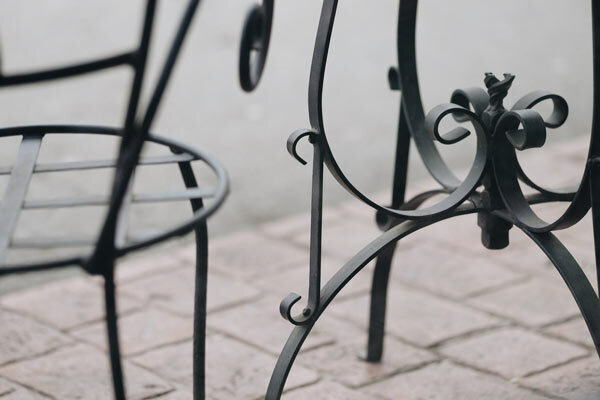 Our team of expert blacksmiths have been working with wrought iron for many years and we know exactly what it takes to craft the strongest, most durable items of furniture that look great and suit you. Our number one priority is you and our team will consult you in detail, throughout the process, to ensure that you get the most tailored and targeted furniture solution. We are well equipped to make your design concept a reality and our team will explore your options with you to develop dynamic designs that fulfil every one of your requirements. At Dean Wilson Iron, our focus is solely on meeting your needs and we do this through careful consultation with you. We know that your needs will be far different to anyone else’s and that is why we take the time to discuss your situation with you, so we can work together and develop a design that reflects your personal style, whilst remaining practical and functional. Our service approach is unique, in the sense that it works around you; we strive to keep you involved and your input is what allows us to craft the perfect outdoor furniture solutions. The first step in our service process is a brief consultation, which is aimed at establishing your basic needs. We like to discuss a range of things with you during this consultation, including your design ideas, practical requirements and the approximate size and purpose of your ideal furniture solutions. All of this information is important because it allows us to explore your options with you and develop a perfectly targeted solution that addresses every one of your needs – no matter how specific. Once we have determined the approximate size of the furniture that you need, as well as some basic design concepts – we can offer you an initial quote. We know that you will likely want some time to consider some of the furniture options that are available to you and we understand that cost is an important factor in your decision, which is why we strive to provide you with a quote as early as possible. Our quotes contain a general outline of the costs that will be involved in the construction and design of your furniture products and we only need some basic measurements and design information to formulate a quote. This means that you won’t be left waiting for a quote. Once you have given some thought to your needs and the different design alternatives that are available to you, we can work together and finalise a design that is ready for construction. You are at the centre of our process, which means that you have the final say in the design of your furniture and we will work closely with you to establish a design that combines your style and preferences with unrivalled quality, strength and functionality. We have a wealth of knowledge and experience when it comes to crafting top-quality wrought iron furniture and this places us in a good position to help you explore your own design concepts and develop one that accounts for both practicality and looks. When we have completed the final stages of the design phase, our skilled blacksmiths can begin constructing your furniture. Each of our products is carefully handcrafted by experts of the trade, which means that the final product will be finished to perfection. We will keep you involved even throughout the construction stage, and our team can update you with progress photos of your product at various stages of completion. You are even welcome to inspect the progress in person; this allows us to ensure that the finished product meets your needs perfectly and remains in keeping with your vision. Do you want a perfectly tailored outdoor furniture set that combines quality, functionality and unique visual appeal? If so, contact us today at Dean Wilson Iron. We have had a great deal of experience working with wrought iron and are well positioned to address any queries you may have. You can contact us by phone, or by filling out an online contact form on our website – we are also on Facebook, where you can find photos of our work across the Gold Coast. #1 Can your furniture support heavy tabletops such as marble, granite, timber or glass? All of our furniture is handcrafted using solid wrought iron, which means that each of our products is incredibly strong and can support very heavy tabletops for as long as you need them to. Wrought iron is renowned for its strength and all of our furniture is crafted to the highest possible standard of quality, so you can rest assured that it will safely and stably suit any type of tabletop that you want to put on it. #2 Can you make furniture solutions of any size? At Dean Wilson Iron, customised wrought iron furniture is one of our specialties and our entire service process is dedicated to delivering the most targeted solutions for you. We work closely with you to first determine your needs, before crafting personalised furniture that can perfectly meet your requirements. No job is too big or too small and we are well equipped to make your perfect design a reality. #3 Do you offer any guarantees on your products? 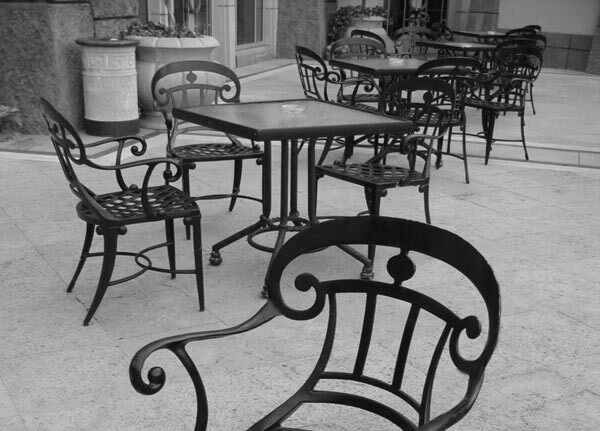 We pride ourselves on creating the most durable, high quality wrought iron furniture and as a testament to our craftsmanship we guarantee our products for ten years against rust and manufacture. This means you can rest assured that your product will withstand the Gold Coast weather for as long as you need it to. #4 How do you safeguard your furniture against rust? Wrought iron is an extremely durable material, however it can rust if it is not finished correctly. This is why we finish every one of our wrought iron creations using a process that effectively protects the metal from corrosion. We also ensure that all of our metal is galvanised, meaning that it will endure the weather without rusting or corroding.